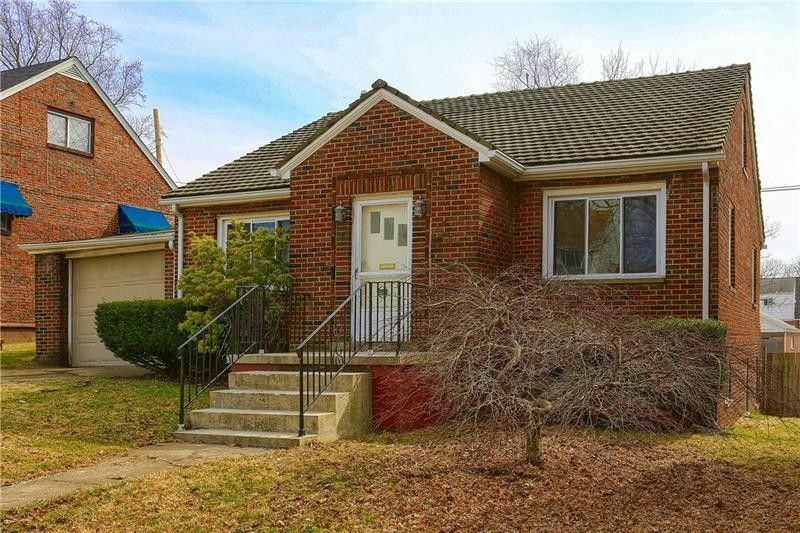 Located at the end of a quiet cul-de-sac with close proximity to Ewing Park is where you will find this meticulously maintained brick cape cod home! This home exudes a charm that beckons you to enter. Once inside, the open floor plan is a delight and will inspire you to entertain with the way that the living room and updated eat-in kitchen flow seamlessly together. The sunporch off the kitchen is the perfect spot to enjoy your morning coffee or relax after a long day on the adjoining deck as the nearby creek provides a natural soundtrack. The main level of this home offers a first floor master bedroom and the second bedroom. Thanks to the renovated full bath on the main level, this flexible floor plan allows for one level living. On the second floor is where you will find two additional bedrooms and a full bathroom. The basement provides an amazing amount of storage space and features walk-out access to the large privacy fenced yard. Directions: From Zelie- Route 19 N, Left West New Castle St/288. Follow 288 to Fountain Ave. Left on Fountain Ave, R on 5th, R onto Route 65/Line Ave, Right Entrance Dr, Right again and right onto Johnston.